Apple already has great H264 implementations and hardware support. However, when the royalty-free alternative to H.264 standard – WebM is widely adopted by Google, Firefox, Internet Explorer as well as the well-known video sharing sites like YouTube, Apple doesn’t take any action. WebM is used for high quality and less bandwidth consuming videos. Personally I think that’s why more and more people including Apple users prefer WebM videos. Yet when you view WebM videos on iPhone in Safari web browser, you must meet the incompatibility issue. Don’t worry, this article introduces two great methods on how to watch WebM on iPhone. How to Watch WebM on iPhone? 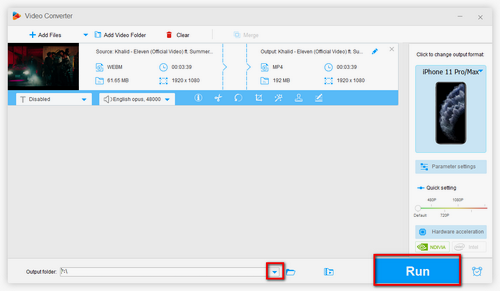 Free HD Video Converter Factory is a good tool to fix WebM iPhone problem; convert WebM videos to MP4, MOV, and other Apple friendly formats and also offers the quick and easy way to download WebM videos from YouTube, Facebook, Twitter and other 300+ sites. PlayerXtreme Media Player supports files in virtually any video formats, such as WebM, 3GP, AVI, MP4, VOB and so forth. You can watch HD WebM files from Safari in simple clicks. Let’s learn the concrete steps. Step 2. To fix WebM iPhone problem, open the WebM video page and open its URL in a new tab. Step 3. Hit “Open in” link and select Open in PlayerXtreme. Step 4. The WebM video will be played automatically. Tips. If you want to play your own WebM video, locate the video path and tap on the video so you’re able to select Open in PlayerXtreme. Besides PlayerXtreme Media Player, VLC for IOS is also a good option to play WebM on iPhone. 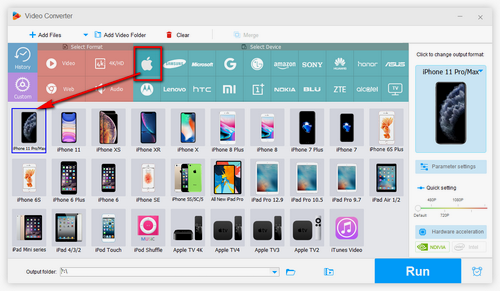 Free HD Video Converter Factory supports WebM, MP4, AVI, MKV, DAT, M4V, MOV and other 300+ conversion; provides the optimized presets for iPhone, iPad, iPod, Apple TV and more pop devices. It’s 100% free, reliable and easy to use. 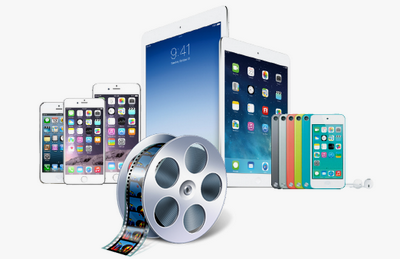 Free HD Video Converter Factory can convert WebM to iPhone supported formats in one click. 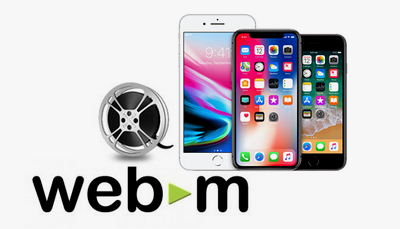 You don’t even need to know which formats are supported by your phone because Free HD Video Converter Factory offers the optimized read-made presets for various iPhone devices, including the latest iPhone8/8Plus, iPhone X, as well as iPod and iPad series. It also works as a functional free video downloader to download any WebM videos online, make iPhone ringtone, etc. Follow the part below to know more on how to view WebM on iPhone. Before start, please free downloadfree download the software for preparation. Run Free HD Video Converter Factory. Add the target WebM videos. You can choose to add WebM videos in two ways. If you need to play your own WebM videos, hit “Add Files” and navigate to the location of the file. Next import it into Free HD Video Converter Factory. If you wish to play a WebM video online, click on “Download Video” and then copy & paste the video URL for downloading. Click the output format button on the right and you’ll see the output format menu. Move your mouse to the Apple icon. Next select your device model. As the picture shows, Free HD Video Converter Factory offers the presets for various Apple devices. 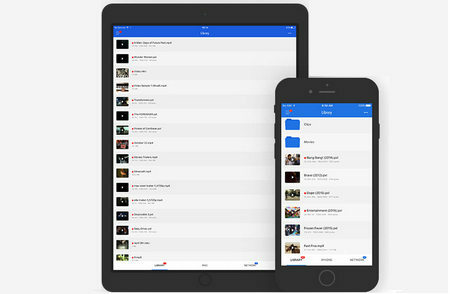 Namely, with the help of the smart software, you can not only play WebM on iPhone, but also play MKV on Apple TV, download Vimeo to iPhone, play YIFI movies on iPad , etc. Tap on the folder icon on the main interface and choose an output path. Now click on “Run” button to start the conversion. The conversion process is quick and easy to handle. The methods above also apply to other devices, such as WebM iPad, Mac, iTunes and QuickTime. If this WebM iPhone tutorial does you any good, please share it with others. 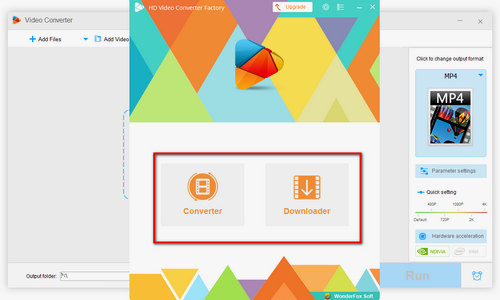 Free HD Video Converter Factory enables to convert and download files to Apple supported devices. So you can play almost any videos and audio on your iPhone, Mac, iPad, iPod, QuickTime and other Apple products and software.